In the October issue of the British magazine SMART HIGHWAYS an article was published about the project “Dissemination of traffic information in Prague”, whose general supplier was VARS BRNO. The magazine SMART HIGHWAYS has been published 10 times a year since 1934, and it focuses largely on intelligent transportation systems. The system of traffic management in the area of Prague written about in the magazine is based on the unique SMARTIC system. Together with traffic management scenarios, the system creates the core of the Control System of the Main Traffic Management Centre in Prague, which is used for the management and control of traffic. SMARTiC models maps of traffic load using data from floating cars and traffic detectors. Based on the global traffic situation, it is able to adopt concrete traffic measures using pre-defined traffic scenarios and to disseminate current traffic information via various distribution channels (web application, mobile application, RDS-TMC, message signs). Last year, this system was enhanced to provide traffic information to drivers via information portals and variable message signs. The project has received an award in the national competition Czech Transportation Construction & Technology 2013. 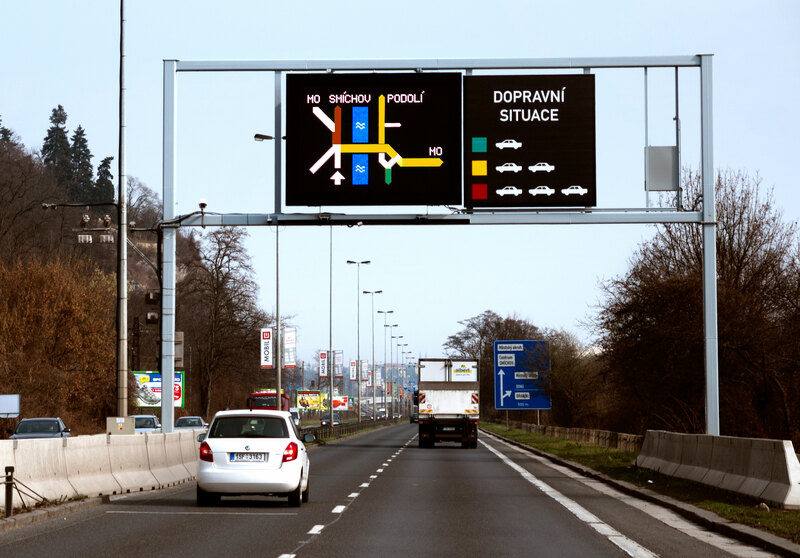 The winning project is the first implemented in the Czech Republic using modern full-matrix and full-colour RGB message signs. All components of traffic management (traffic lights and TID) have been integrated into one system with remote control from the Main Traffic Management Centre in Prague. Author: PR team VARS BRNO a.s.